The Lancet report was released on Thursday with the findings. 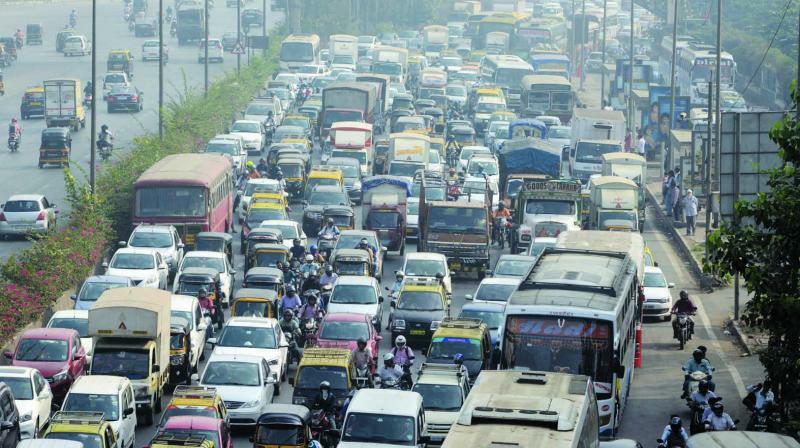 Mumbai: The state can help increase the life expectancy of its denziens by 1.5 years if it controls air pollution from the PM2.5 levels, which arise mostly from the burning of fuels. This was revealed in the latest study by The Lancet based on PM2.5 levels during the year 2017, which was published on Thursday. While the PM2.5 levels still remain a grave concern for Mumbai, the study shows that the impact of the burning of solid fuels in households has decreased in the state, as it fared better than the other states in India. According to The Lancet study, in 2017, 77% of India’s population was exposed to ambient particulate matter PM2.5 above 40 µg/m3, which is the permissible limit recommended by the National Ambient Air Quality Standards. The highest PM2.5 exposure level was in Delhi, followed by the other North Indian states of Uttar Pradesh, Bihar and Haryana. Maharashtra fared better among the states, but when it comes to the ambient air pollution, it was among the top three. “For Maharashtra, it is important to control the PM2.5 levels in the ambient level, as per the data revealed under the Lancet report. The ambient level sources are transportation, industries, solid waste burning and construction. If not done at the earliest, we are putting millions of lives under the risk of constant exposure to diseases related to air pollution,” said Sunil Dahiya, senior campaigner for Greenpeace India. The Greenpeace India report titled Airopocolypse 2018 had shown similar trend of PM2.5 levels in Maharashtra. It stated that apart from PM10, which arises mainly from dust pollution, the levels of PM2.5 have been increasing in Maharashtra over the years. “Although the pollution from burning of solid biomass fuel has shown improvement in state, still when we compare it to Delhi, Mumbai is reeling with more instances of this pollution. It seems that for both Mumbai and Maharashtra, the ambient PM2.5 levels need immediate attention,” he added. In Maharashtra, the number of deaths attributable to air pollution in 2017 stand at 1,08,038. As many as 44.3 per cent of these were seen in people below 70.